COOL: Wild Beasts new album (Smother) | Everything is cool. 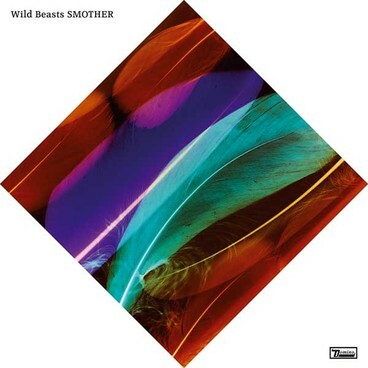 Smother is the new album from Wild Beasts, and while the title promises a kind of violent envelopment that’ll hound your ears and leave you gasping for breath, it does in fact do the opposite. Brimming with inventive touches, Smother creeps up on you, very quietly and cleverly, with sexually scathing lyrics sure to electrify. Perhaps it’s all the produced electro pop we’ve been hearing lately that’s garnering our need for instant satisfaction (and a quick perv of Rihanna), but after a first listen I was left feeling pretty m-e-h-h-h-h. After a few more, I think I get it. The jaggedy percussion lines on songs like Albatross and burgeoning sexuality of the falsetto on Plaything will see you crawling towards your speakers, clawing at an imaginary Hayden Thorpe. You’ll melt into the wreckage of sounds on Burning as if you’re sitting on Tom Fellows knee, him singing into your ear. Listen to this album alone. You can’t share it. In fact it’s verging on seedy. Each time I listen I hear something different and I want to be smothered again, and again, and again.